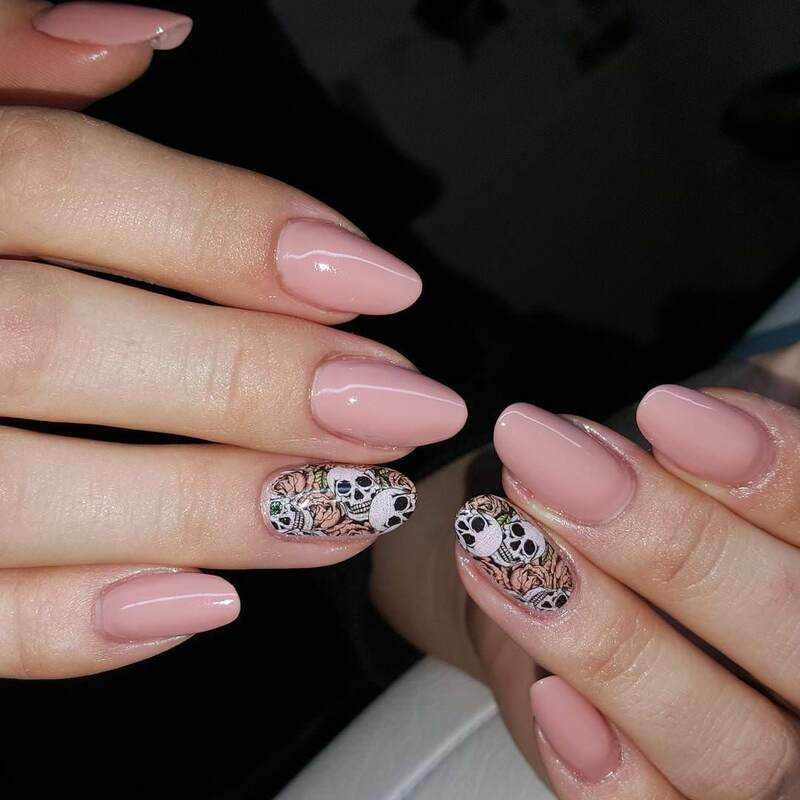 Nail designs is a creative art design where one can draw designs and pictures of their own choice to beautify their fingernails and toe nails. 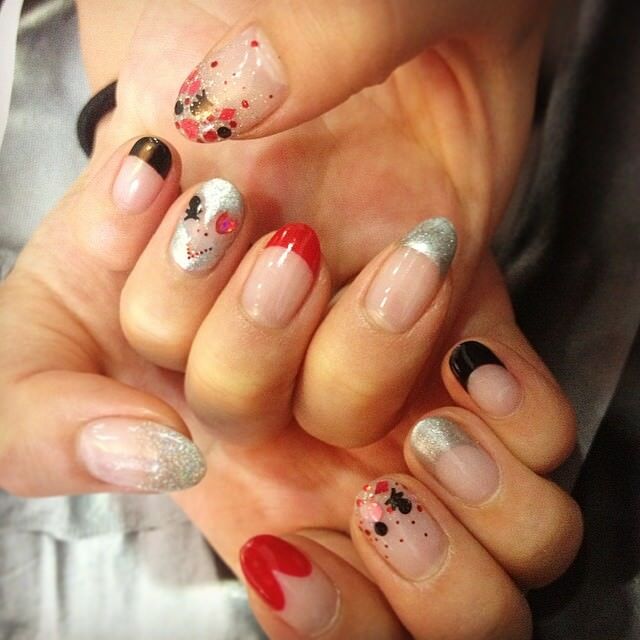 It is related to manicure as well as it is a fashion activity. 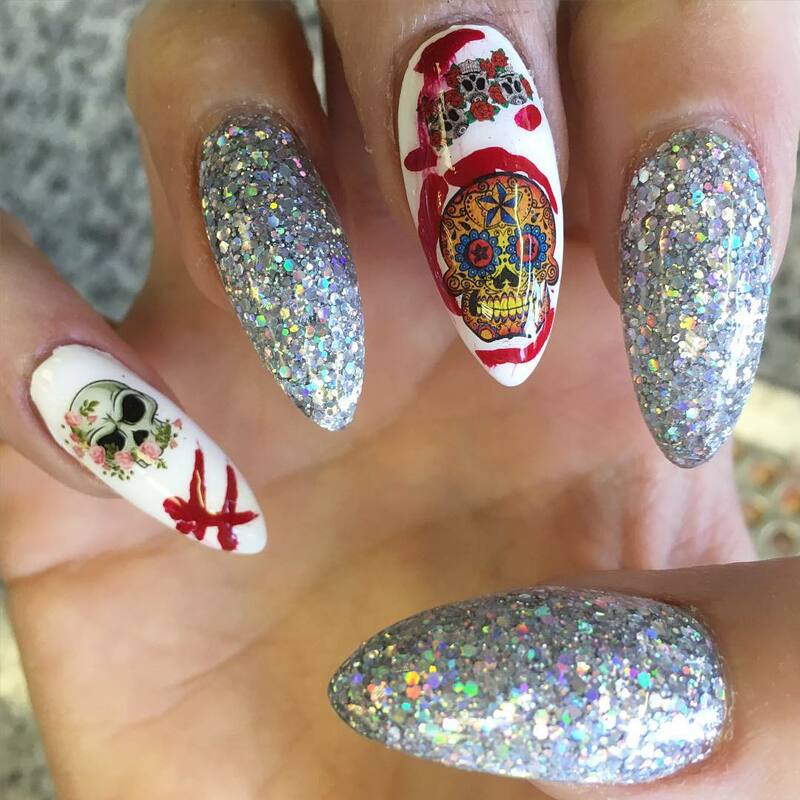 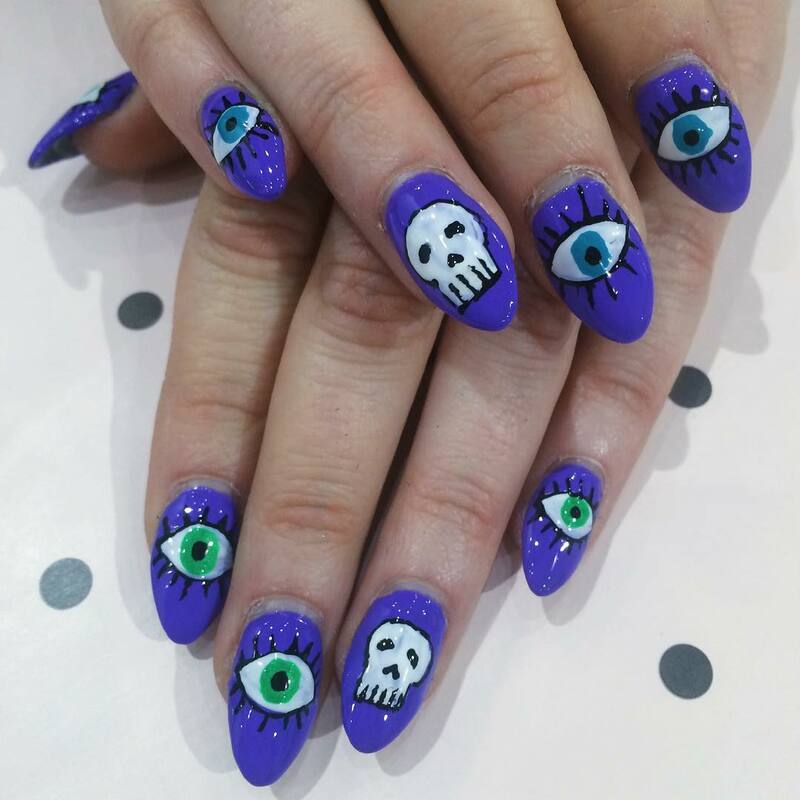 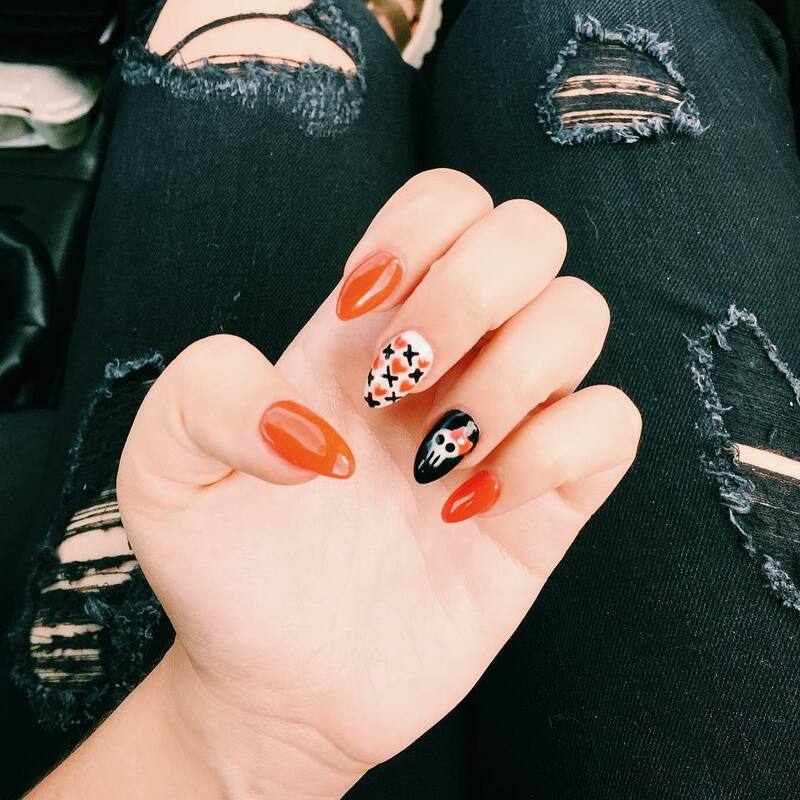 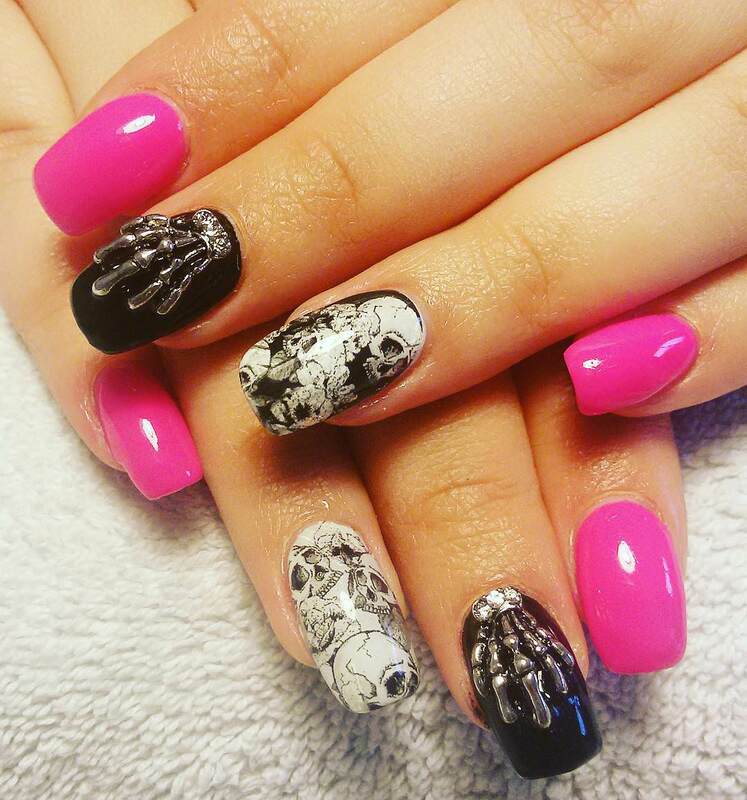 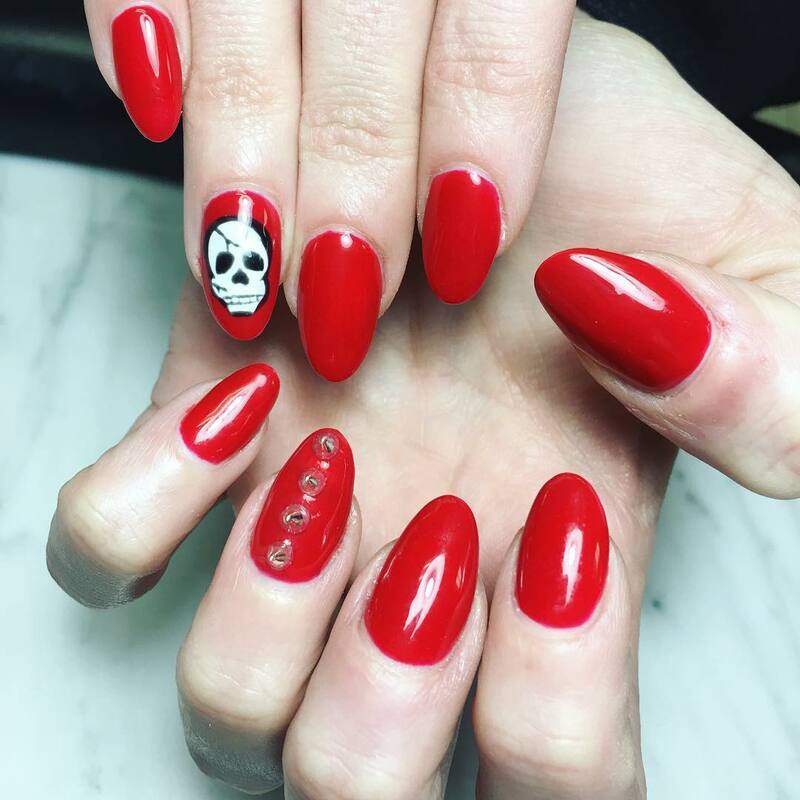 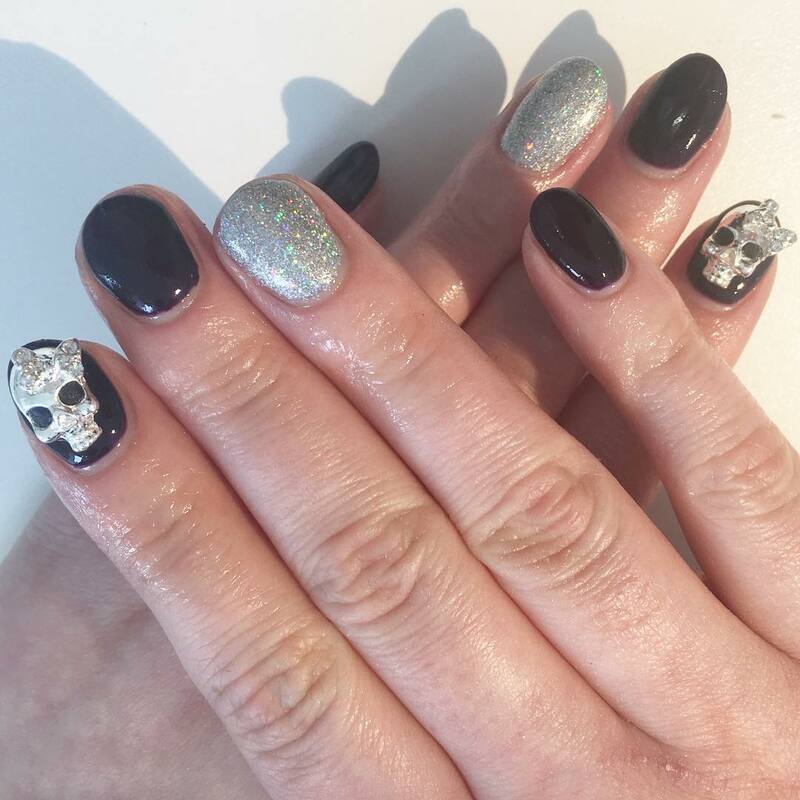 Skull nail designs are fresh in fashion trend. 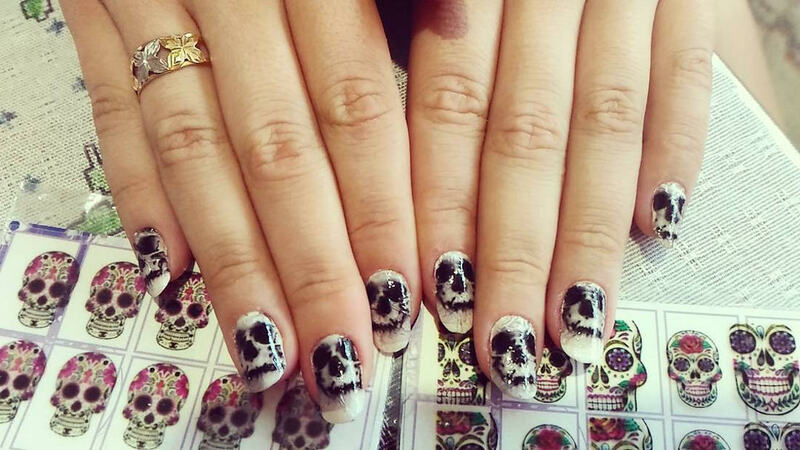 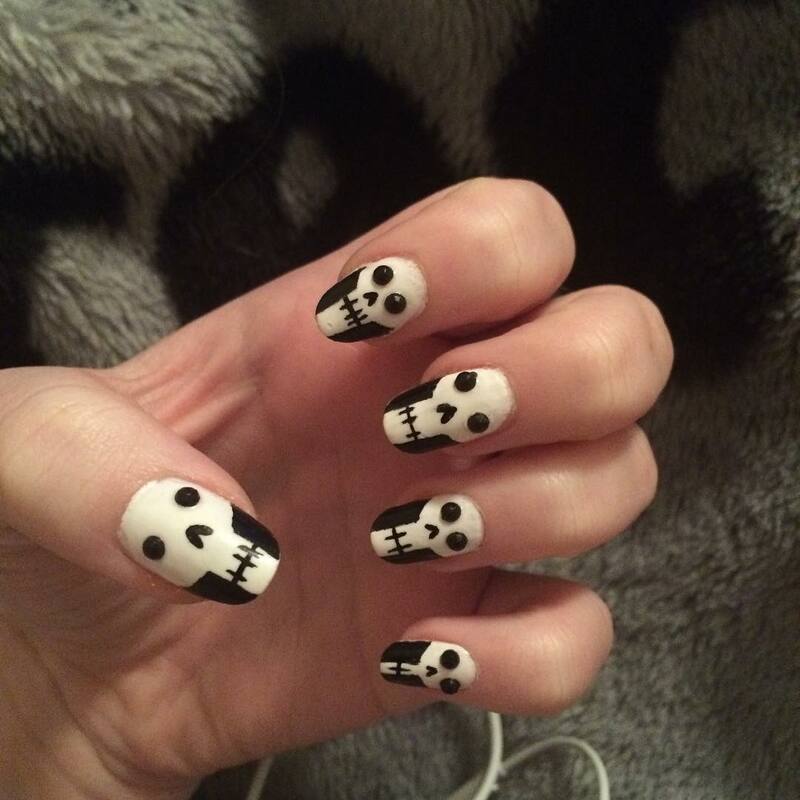 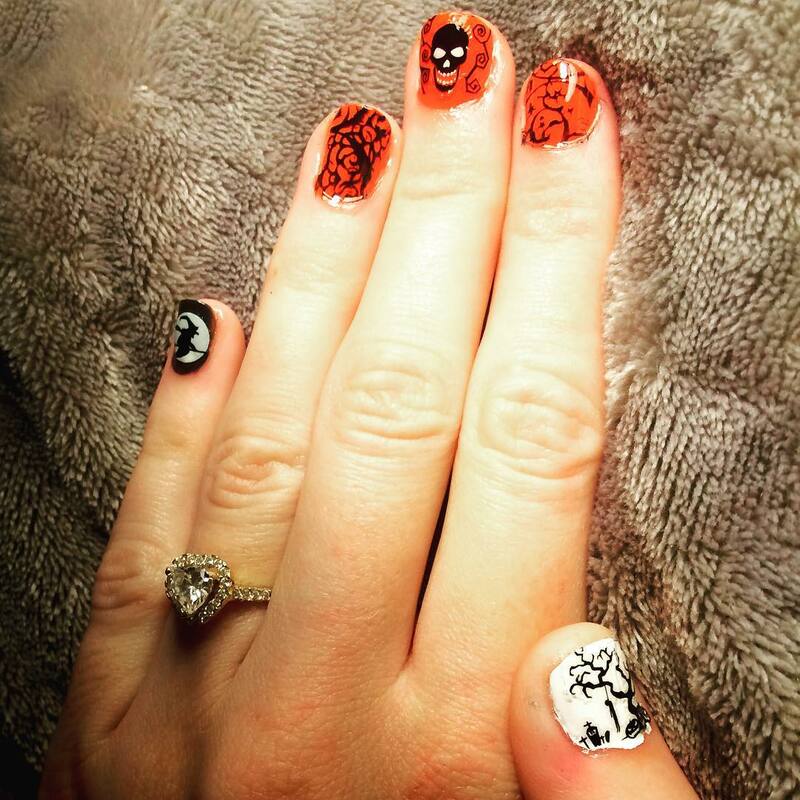 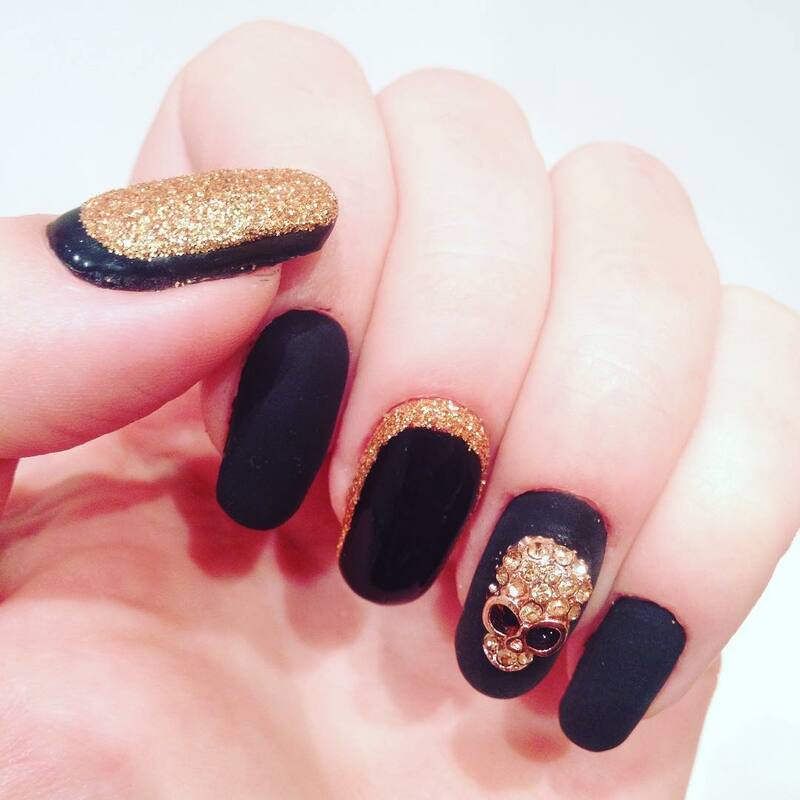 A skull nail design is a must for a Halloween party. 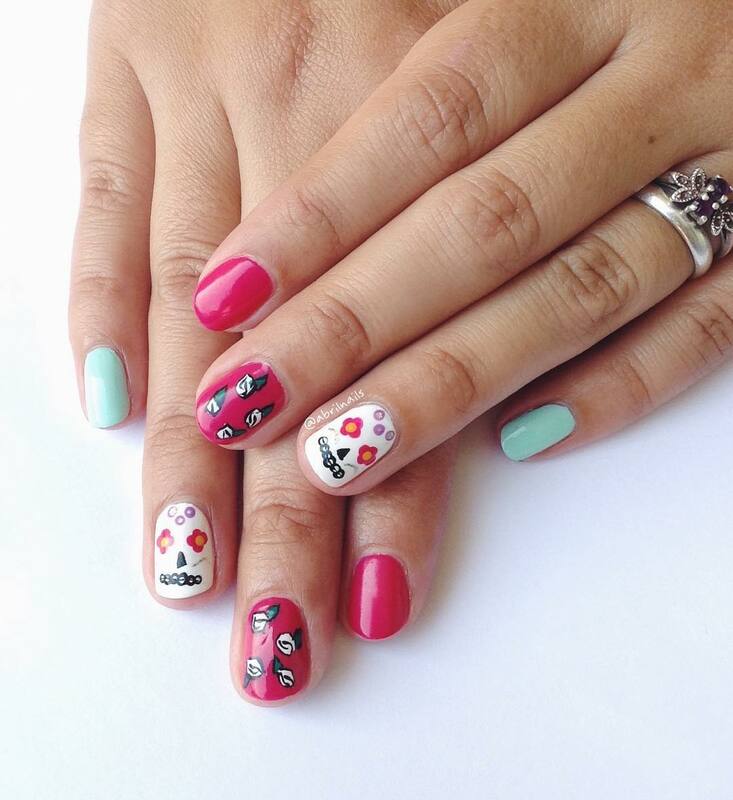 At the beginning of this trend, girls use only skull to the top of the nails only with black colour with pink, white, aqua green or yellow backgrounds. 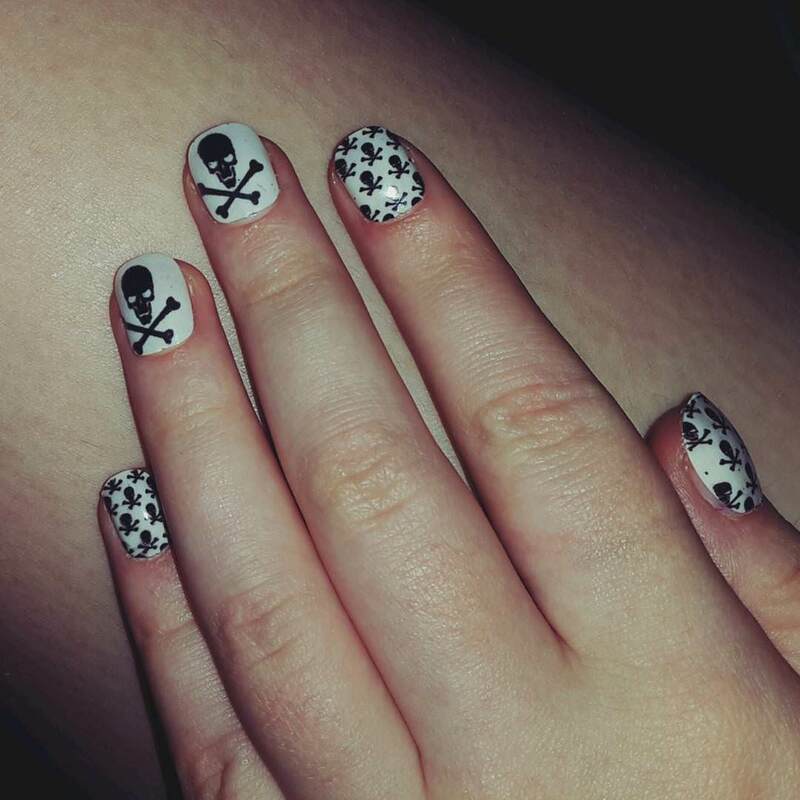 White background with black skull nail designs was one of the famous design in those days. 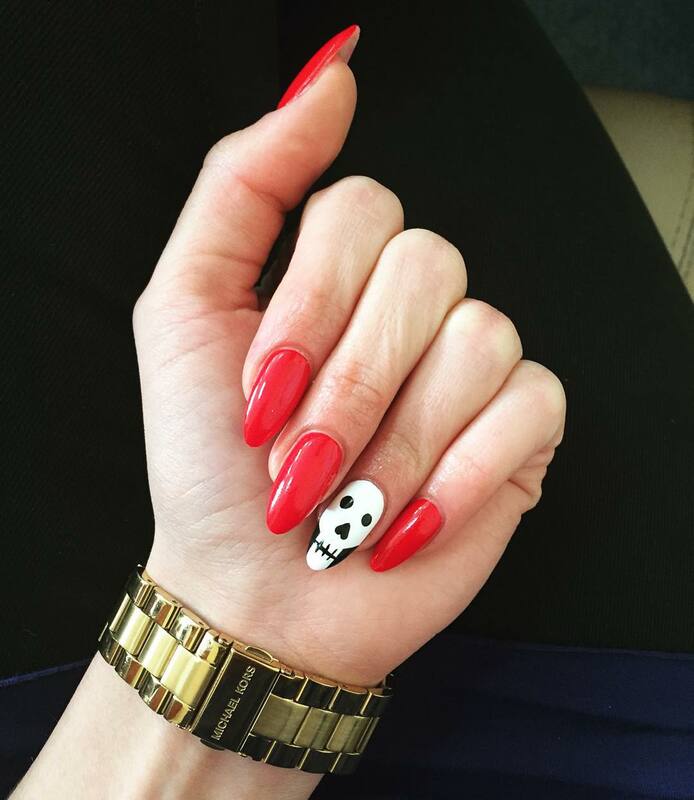 These days, extra colours are added to the skull nail designs. 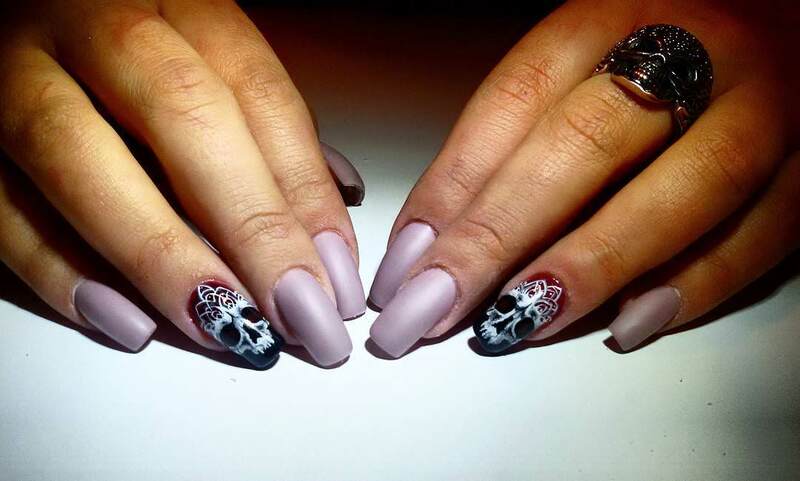 3D skull nail designs are high in demands in fashion trend. 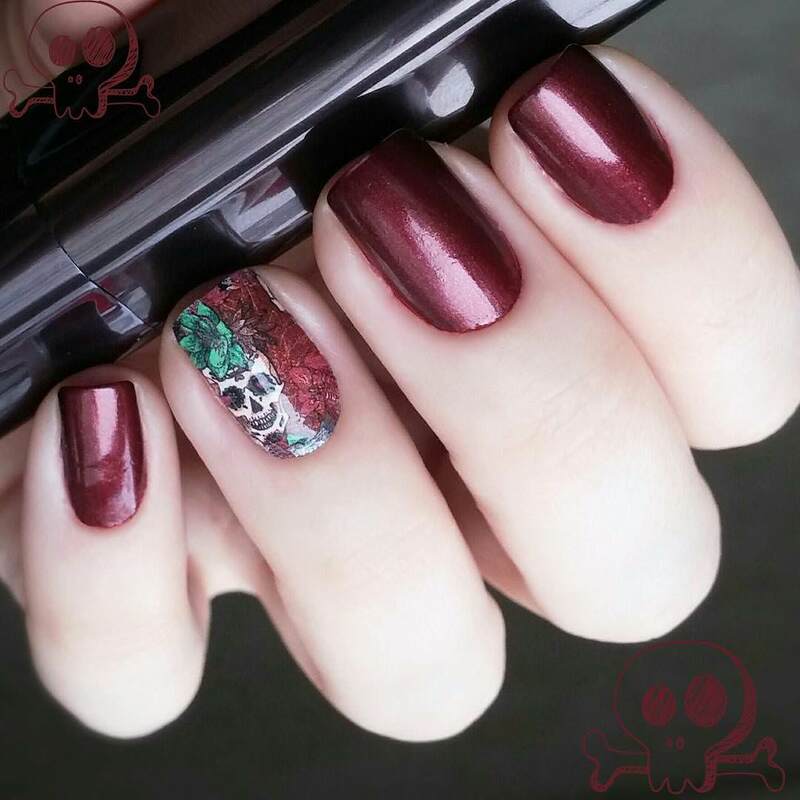 Only one skull at one fingernail with a heavy background gives olden looks and many skulls in one fingernail gives a light effect in one’s nail. 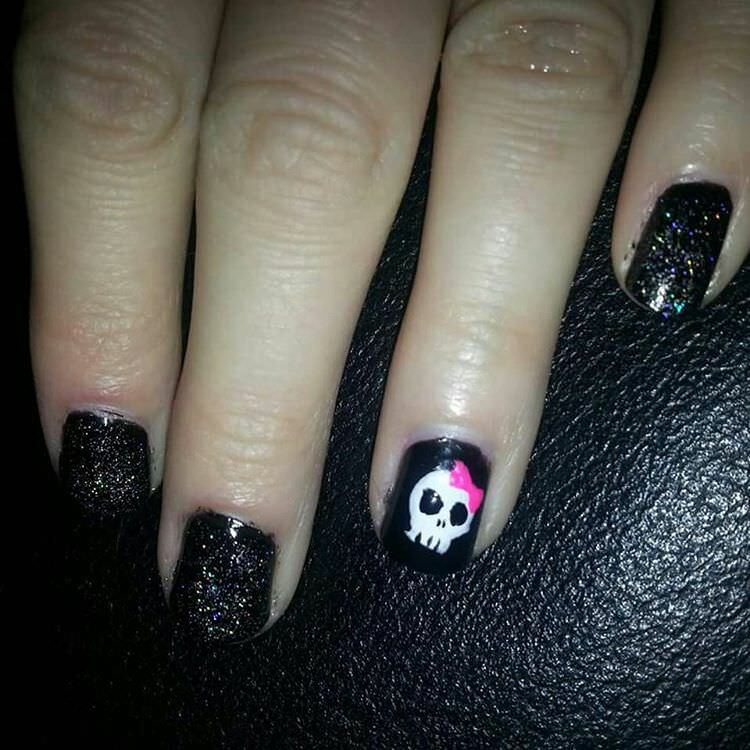 A woman prefers to make a solid background with a black skull. 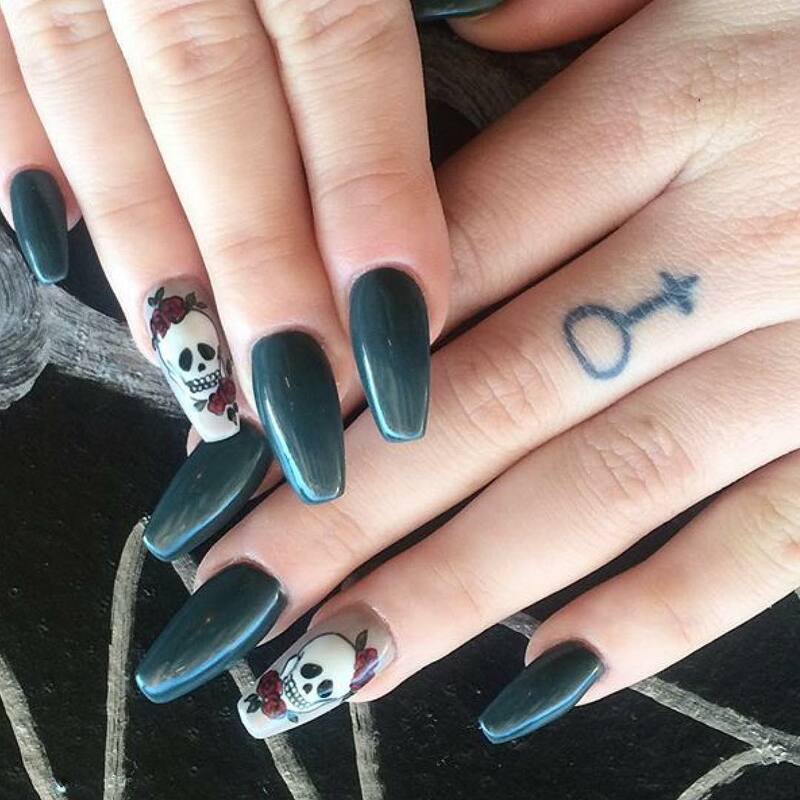 College goer’s likes to use various colours in their skull nail designs. 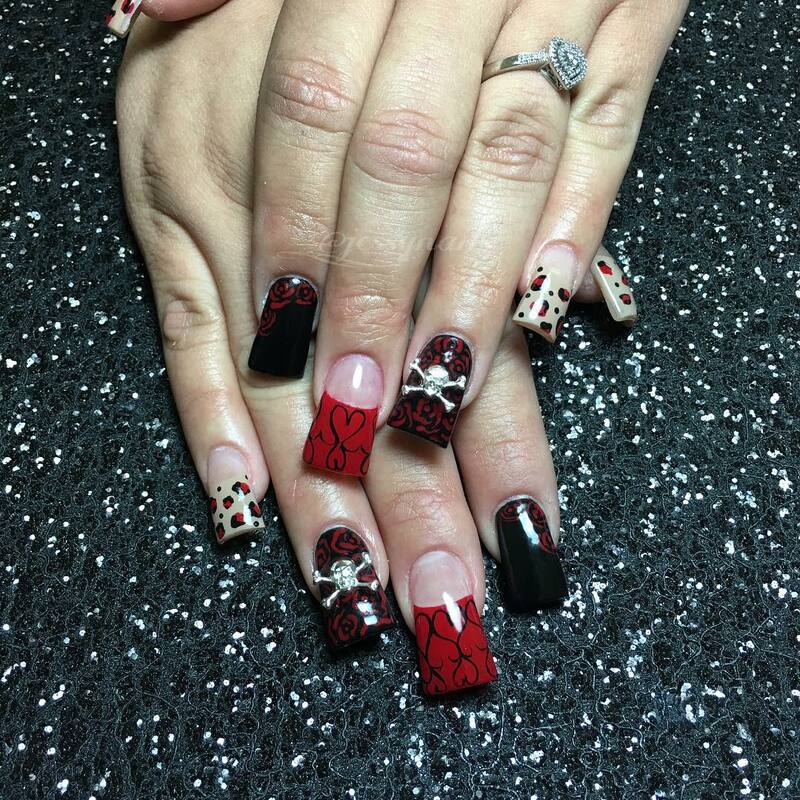 Red and black nails are a powerful combination for a theme party. 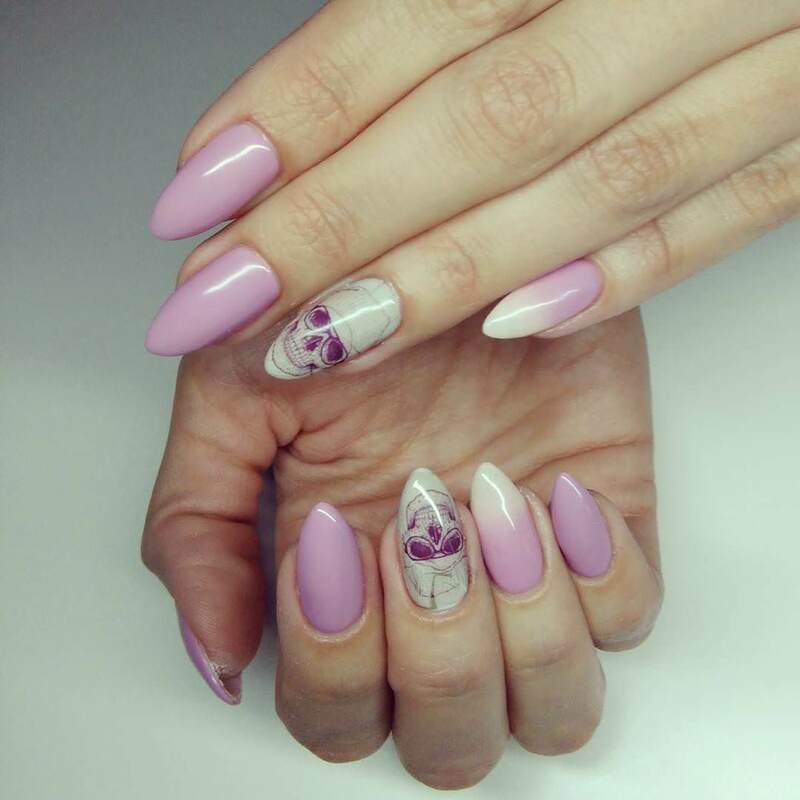 One can use acrylic nail designs for their daily routine. 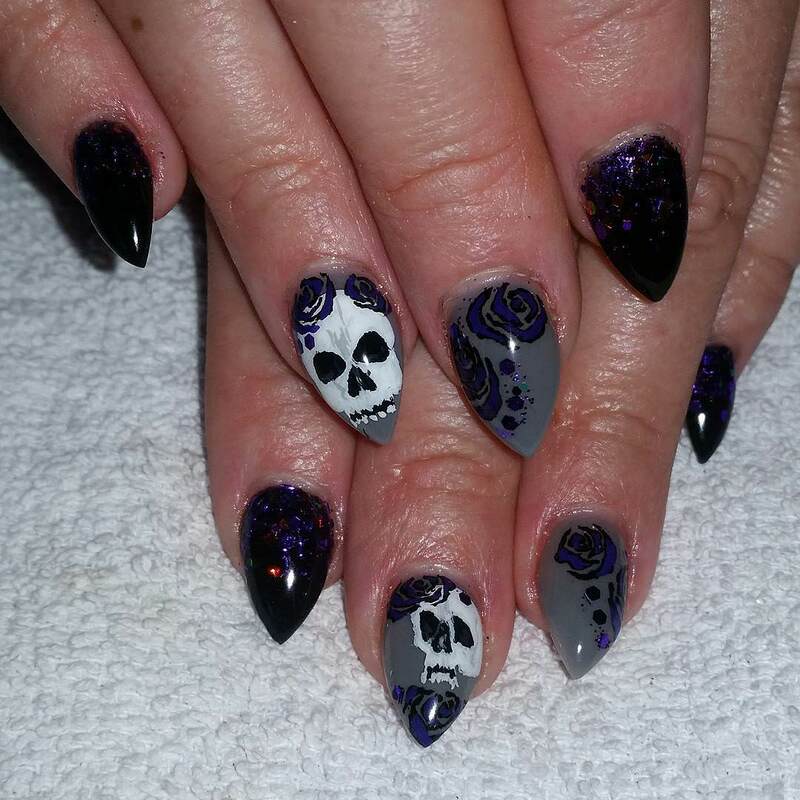 Stones can be added to the eye of the skull enhance the skull impression in skull nail designs.